Xtreme Crane is your source for all boom truck and rigging services in Grand Junction, CO, and surrounding areas. Our crane company provides services for contractors, commercial, residential needs and more! Each crane job is unique in needs and timeliness, that is why our professional crane operators work together to develop a strategy that works best for the project needs. Rest assured, Xtreme Crane’s personnel are highly trained individuals who engage in safety and excellent service above all else. Rent a crane and experienced operator. Our crane rentals provide dedicated operators to arrive and help with your projects. Hire a crane crew for your job site. 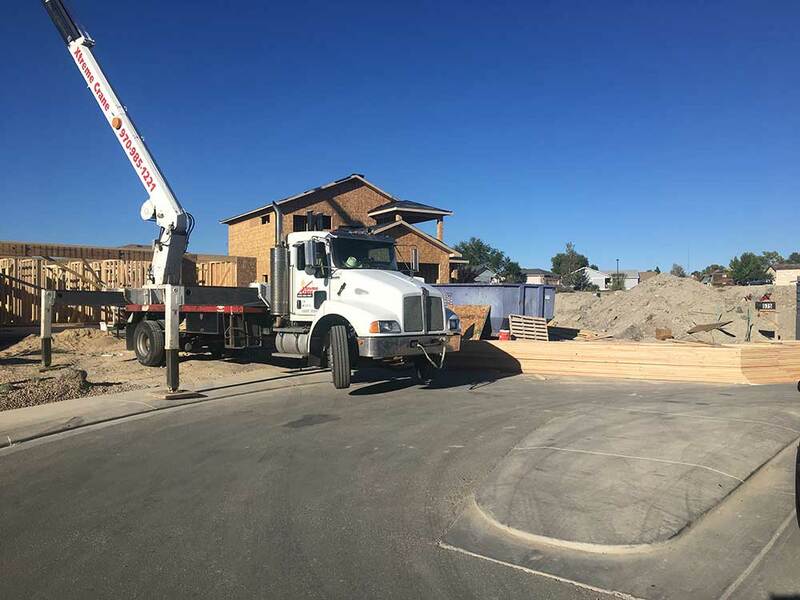 Beams, trusses, and more, whatever your construction needs, our crew is ready for the job. Need help lifting objects for your home? We understand that air conditioners and pools are heavy. Give us a call, we’re here to help. Hire a crane to help maintain your business. We help businesses and commercial contractors keep things like signs and utilities up-to-date. Need to Hire a Crane Service? Xtreme Crane provides a multitude of services to assist with any of your lifting needs. If you don’t see a particular crane service on our site, give us a call or email to discuss how we can help.